Wrap her finger in this split shank diamond engagement ring featuring forty-four round cut diamonds. This elegant setting adds an extra touch of sparkle to your beloved’s hand while drawing extra attention to your hand-selected center stone. Approximately 2/6 carat total diamond weight, this split shank setting looks incredible surrounding a round-cut center stone. Prefer a more unique diamond shape? 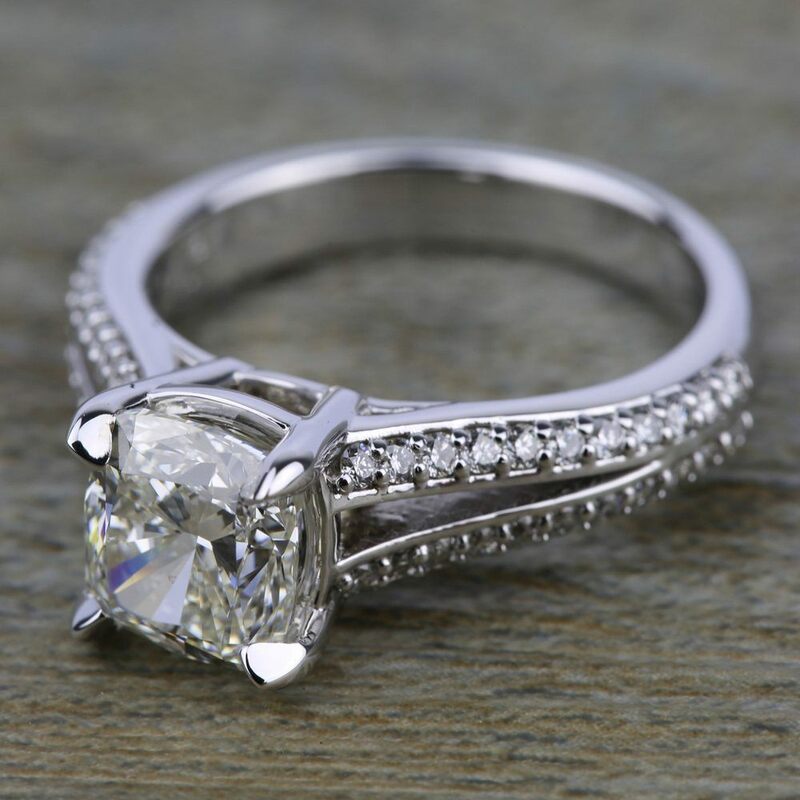 Our talented designers can help you customize this design to fit around the diamond shape of your choice! Like this engagement ring setting? Check out our full collection of diamond engagement rings.